As the United States considers intervening militarily in Syria, it feels like déj vu. You have a megalomaniac in the Middle East who stands accused of biological weapons-based atrocities against his own citizens and the international community considering a response. On cue, religious leaders urge governments to negotiate a peace with the dictator”anything but war. 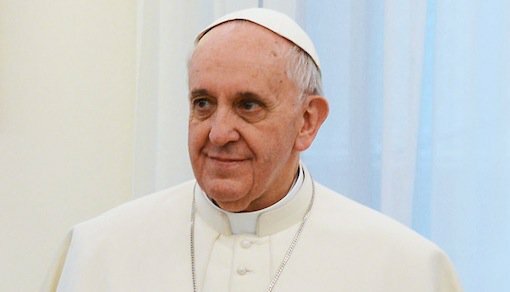 The pope must know that dialogue is not the only solution to the Syrian conflict. It would be a good thing if the pope would acknowledge the just war tradition while making his impassioned pleas for peace. Catholics believe in peace, but theyre not Mennonites. First Things editor R.R. Reno has consistently argued against intervening in Syria, but I believe a classical reading of the just war tradition renders robust intervention in Syria a morally desirable act of charity. The U.S. government argues that Bashar al-Assad deserves to be punished for indiscriminately murdering and gassing thousands of his own people. Yet a proposed shot across the bow, a strike limited in duration and scope, as President Obama has repeatedly guaranteed, is not likely to succeed. A just cause must have probability of success and if the intent is to deter Assad and other rogues from using chemical weapons, lobbing a few cruise missiles wont accomplish such a goal. Assad will probably have to be deposed in order to deter future bad actors”something Obama doesnt dare undertake. But, the President should pursue regime change because leaving Assad in power threatens our strategic national security. Obamas inaction emboldens the mullahs in Iran. Likewise, an unbelievably small strike, as Secretary John Kerry recently described it, would only encourage them to march faster toward a nuclear weapon. Assad must go, as Obama has said for over two years, but it is especially imperative that the U.S. ensure no one worse takes his place. If Assad can countenance deploying chemical agents on his own people, what do you suspect would happen if jihadists in Syria obtained those materials? There are still friendly forces in Syria the U.S. should aid. In fact, as Elizabeth OBagy wrote in the Wall Street Journal , Moderate opposition groups make up the majority of actual fighting forces, but they wont be there for long without help. Obama must act now: Our security interests demand it, and Christians in Syria deserve it. Evil will always exist in the world. The kind of simplistic peace that it seems Pope Francis is praying for is dangerously naïve. Weigel points us to an admittedly humbler sort of peace, what Augustine called a tranquility of order. This peace-as-order can only be achieved when public authorities defend the security of innocents and punish those who threaten it. Cardinal Ratzinger, the future and once pope, wrote in 2004 that it was ultimately OK to be at odds with the Bishop of Rome over the decision to wage war. Thank God for that. Nicholas G. Hahn III is the editor of RealClearReligion.org. Follow him on Twitter @NGHahn3 .